INCOME TAX sleuths on Saturday conducted searches at the premises of senior DMK leader Duraimurugan in Vellore district over suspected use of unaccounted money for electioneering and seized Rs 10 lakh of alleged “excess” cash. High drama was witnessed when DMK legal cell functionaries refused to allow teams of the tax department’s election surveillance and monitoring and district static surveillance and flying squads to hold searches without a “warrant”. Senior tax officials, later, armed with search warrants conducted raids. Searches have been conducted at Duraimurugan’s residence, where some printouts with ward numbers written over them were found but the “main person,” indicating assessee, has dismissed them as “junk” and further questioning is on, a a highly placed sources in tax investigation wing told PTI. About Rs 19 lakh cash was found. After allowing cash declared in election affidavit, an amount of Rs 10 lakh was “determined as excess” and seized, the source said. “We did not conceal anything,” Duraimurugan told PTI adding all his family members are income tax assessees. He confirmed that Rs 10 lakh was seized and said it was common to have cash on hand. The searches come days after similar raids led to a political storm in neighbouring Karnataka. Tax Department sources said searches were carried out in the campus of a college run by the DMK’s leader’s family, including in the teaching and hostel blocks. The administrative block is “being searched”, the sources added. A farmhouse said to be belonging to a close confidant was also searched. The I-T Department officials along with personnel from the election flying squad arrived late last night at the residence of the DMK treasurer. I-T Department sources earlier in the day indicated the searches were carried out to detect suspected tax evasion vis-a-vis use of unaccounted money for electioneering. The DMK has fielded Duraimurugan’s son, D M Kathir Anand, from Vellore seat in the coming Lok Sabha polls. 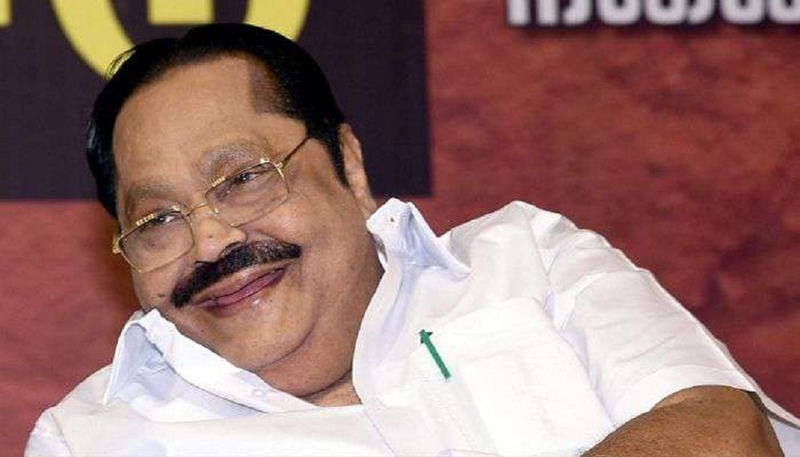 Duraimurugan alleged that the raids were a “conspiracy” by some political leaders who could not face them in the electoral arena. “They (tax officials) have gone with the understanding that we have nothing (to hide),” he told reporters. The DMK leader also questioned the timing of the raid.